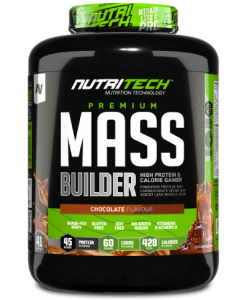 NUTRITECH BETA ALANINE has been formulated with 2200 mg of beta-alanine per single serving, the only naturally occurring beta-amino acid. 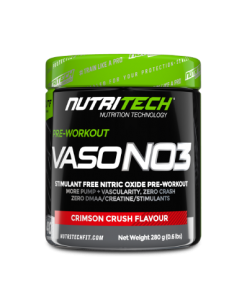 An exceptional choice for the athlete looking to increase ability and performance in prolonged explosive exercise or prolonged endurance exercise. 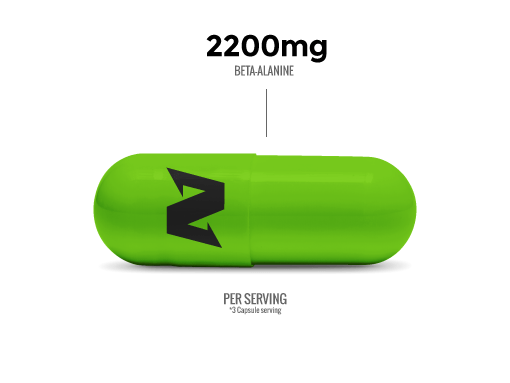 Beta alanine helps increase carnosine concentration, a powerful amino acid that helps work as a buffer against lactic acid build-up, the main cause of muscle fatigue and soreness. 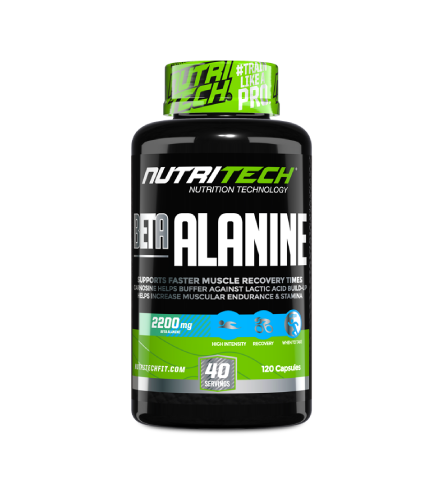 NUTRITECH BETA ALANINE is the perfect companion to an athlete’s pre and post-workout regime and easy to consume for the athlete on the fly. Beta alanine can cause a tingling and flushing effect on the skin. This is a perfectly normal reaction by the body and not harmful. Take 3 capsules 20 minutes before training and 3 capsules after training. 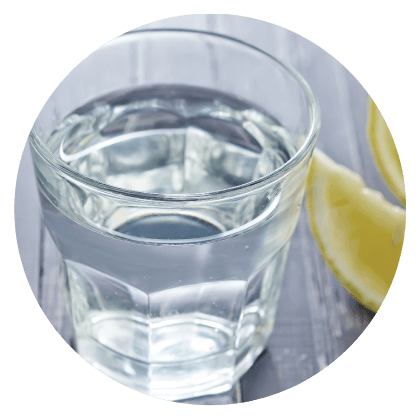 On non-training days, take 2 servings daily with food. NON-TRAINING DAYS: Take two servings daily with food. With an eye cast back to the nostalgic “Golden Era” of fitness, we look to capture the essence of these Original Athletes of yesteryear with PLATINUM SERIES. Before social media platforms determined the following; an Athlete’s name was chiseled into the history books only through hard work, dedication and placings on the world stage. 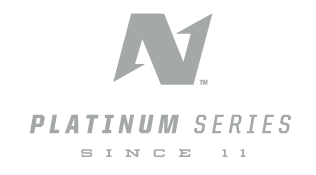 The team of researchers, developers and pharmacists at NT Labs have worked relentlessly to keep this culture at the core of PLATINUM SERIES. Welcome to the NUTRITECH® Originals, Since ’11. Increase high intensity endurance performance. 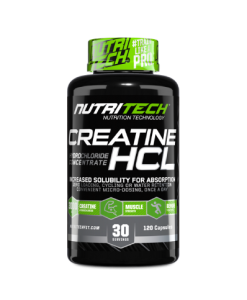 Helps to buffer lactic acid build-up and delay the on-set of muscle soreness. Promotes carnosine and speeds up recovery times.